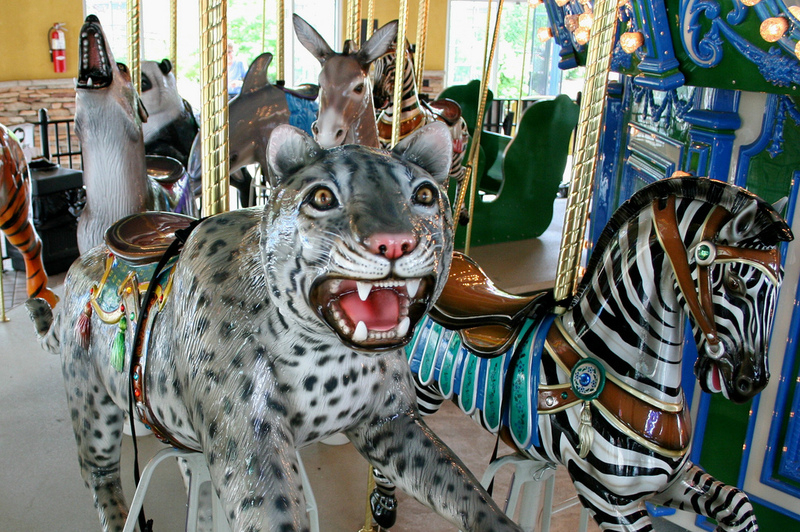 Visitors of all ages can take a spin on our endangered species carousel. Ride on a panda, alligator, tiger or one of the 30 other rare creatures featured on this unique ride that was custom built for Turtle Back Zoo. Housed inside a beautiful classic carousel house with mosaic floors and stained glass windows.